Mount Vernon - 4 Bed/2.5 Bath - Move-in Condition on 11.3 Acres with 4 Stall Barn! 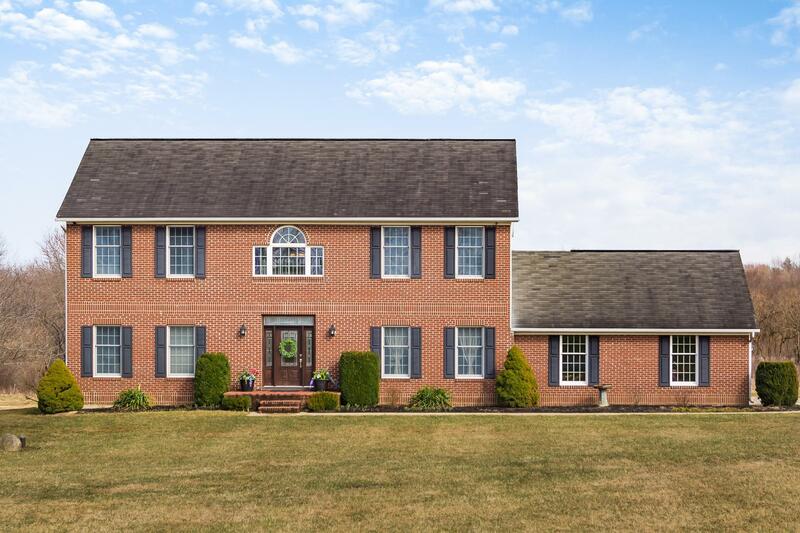 South side of town & a short commute to Columbus. Wooded area with trails for horse or ATV riding, a 30 X 60 barn with electric service, a washing stall, 1800 SF concrete floor, plus a finished tack room. Spend quality time outside on the 20 X 25 low-maintenance Trex deck with Tigerwood privacy wall. Two fenced pastures and a 60 X 110 outdoor riding arena. All new flooring on the entry level, cherry kitchen cabinetry, granite countertops stone backsplash, deep well kitchen sink & SS appliances. Access the full basement from inside the attached 2-car garage or from inside the house. 1 Yr Home Warranty. Showings begin on Sat., April 06. Agents: Refer to Agent Remarks prior to submitting offers.